Tenuta Parco dei Monaci has a modern cellar on site, in the middle of the vineyards. At sunset, still fresh (hand cut) grapes are screened before dropping in the crusher machine. From there, they are sent to the canteen downstairs nearly by gravity. The canteen is provided with modern steel boilers, for thermally controlled wine fermentation. To avoid loss of perfumes, fragrance and grape’s aromas, the cellar is kept always very neat and tidy. When wine has finished fermenting, it is separated from skins and seeds. Those will go back to the vineyards as organic fertilizers. The new wine is sent downstairs, in the underground cellar, for aging in French oak casks. Primitivo wine will rest for eight months, Cabernet and Merlot wines for a full eighteen month period. The cellar provides for optimum constant temperature and humidity level all year round. The wine rests in small casks from the best craftsman in Bordeaux. It will then be on-site bottled and proceed to further aging. 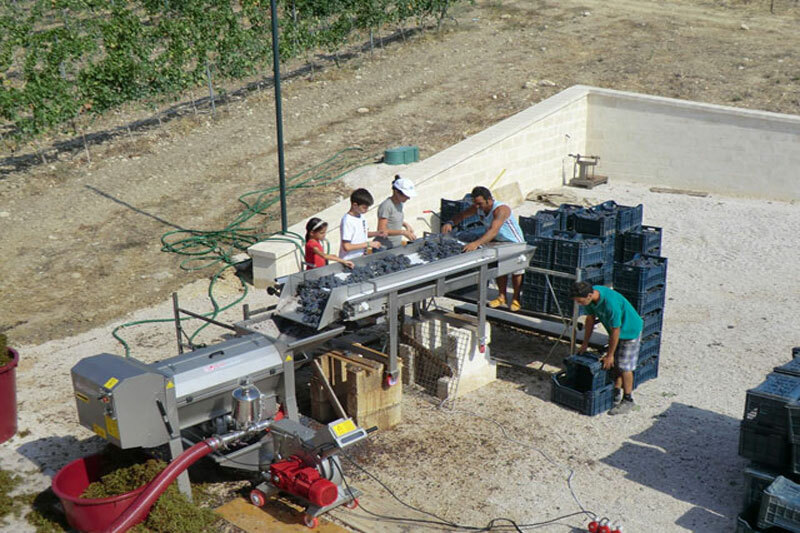 In this way, year after year, Tenuta Parco dei Monaci will produce its wines.